The San Francisco Bay (Bay) drains water from 40 percent of California. 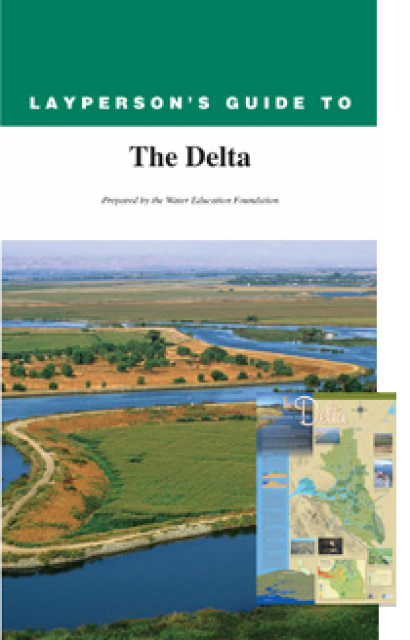 This includes flows originating from the Sierra Nevada mountain range and the Sacramento and San Joaquin rivers that make their way down through Sacramento-San Joaquin Bay Delta through the Bay to the Pacific Ocean. The Bay is the largest harbor on the U.S. Pacific Coast and covers about 400 square miles with an average depth of 14 feet. Its deepest point is 360 feet at the Golden Gate. Every year, more than 67 million tons of cargo pass through the Golden Gate. The Bay also supports commercial bait shrimp, herring and Dungeness crab fisheries. 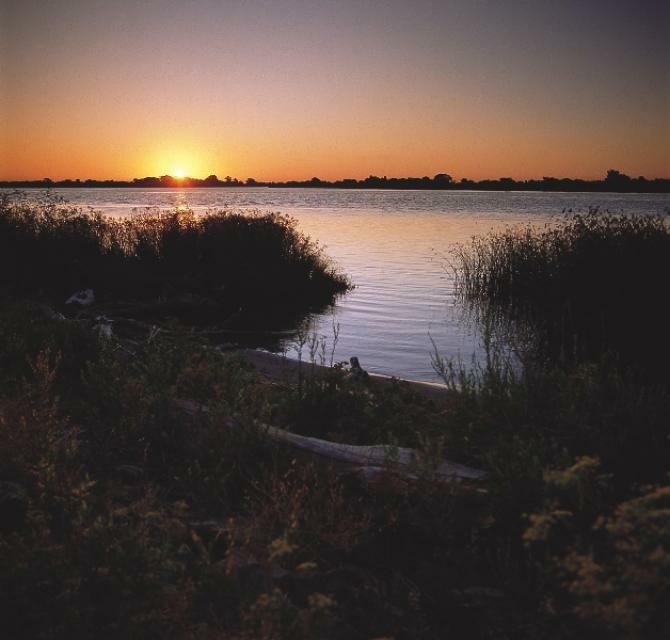 The Bay is a vital estuary and a key link in the Pacific Flyway, and millions of waterfowl use the shallow portions of the bay as a refuge each year. In just the past week, water about an inch deep has popped up out of nowhere in both the northbound and the southbound lanes just south of the 880 interchange. … Underground aquifers are full from all the recent rain and pressure is now forcing water to bubble up in weak spots in the surface. Every day, 46,000 people drive Highway 37, the scenic route that connects Marin County with Vallejo, Napa and just about everywhere east. This thread, though essential, is also tenuous in that it’s strung atop a berm barely above sea level. Traversing the vast salt marshes known as the San Pablo Baylands, the 21-mile stretch is emerging as an early challenge to planners confronting California’s changing climate. Climate change is already negatively affecting the health of Marin residents and within 15 years attendant sea-level rise could threaten the county’s shoreline buildings, roads and original utility systems. This was the sobering message Marin supervisors received after Supervisor Kate Sears requested an update on the local health impacts of climate change and efforts to prepare for sea- level rise. While this season has stood out in many people’s minds as noteworthy and painstakingly rainy, “it’s just a normal year,” said Jan Null, a consulting meteorologist with Golden Gate Weather Services. The city measured similar rainfall totals as recently as 2016-17. Almost everyone who flies into San Francisco or San Jose airport has seen it — a vibrant patchwork quilt of colorful water. … As part of a huge effort called the South Bay Salt Pond Restoration Project, the Cargill salt company has freed almost 16,000 acres of their salt ponds. A countywide effort to address sea level rise is gaining momentum after San Mateo County supervisors took steps to form a new government agency to manage flooding, sea level rise, coastal erosion and stormwater infrastructure this week. By expanding the San Mateo County Flood Control District’s responsibilities … officials have looked to facilitate coordination between jurisdictions as they set their sights on a new set of challenges for water infrastructure projects. What was supposed to be a great flood control project that kept homes safe in the South Bay has turned into a nightmare for many homeowners. Repair crews continue to work on Ridgemont Drive in San Jose, where they are replacing brick pillars residents claim were damaged by the pounding to the flood control project along the Silver Creek. Homeowners are footing the bill for the repairs and say someone else should be paying. In the North Bay, so much runoff from our recent rains has created some spectacular sights. Waterfalls are becoming big attractions around Mt. Tamalpais. The sound of rushing water is everywhere in the lush, emerald green hills below Mt. Tam. 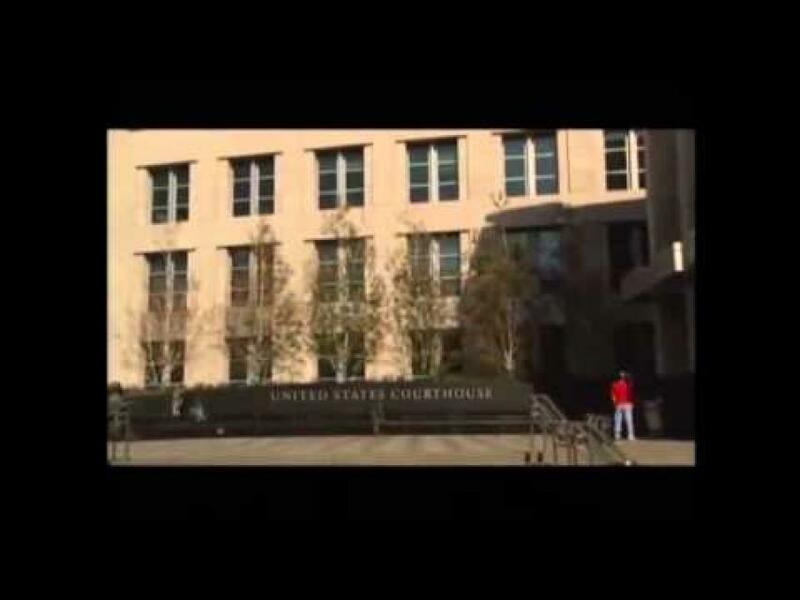 Top managers of the environmental engineering firm Tetra Tech directed their employees to commit widespread fraud in the cleanup of America’s largest Superfund waste site, according to new legal complaints by the U.S. Department of Justice. A state board on Wednesday approved a contentious proposal to boost water flows through a Central California river, a move that would increase habitat for salmon but deliver less water to farmers and cities such as San Francisco. 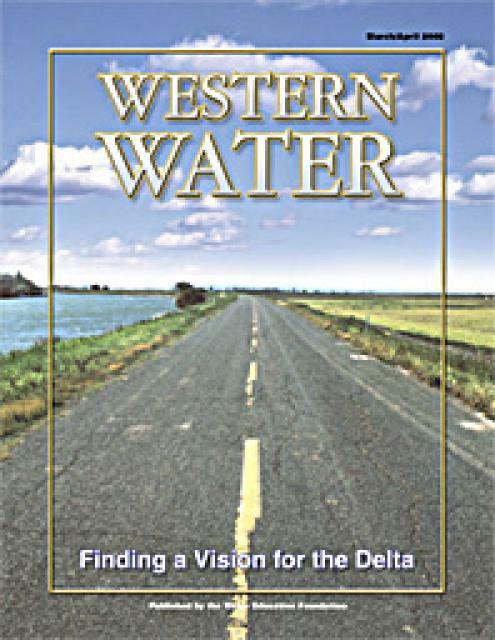 The plan under consideration by the Water Resources Control Board would alter management of the Lower San Joaquin River and three tributaries to address what environmental groups say is a crisis in the delta that empties into San Francisco Bay. 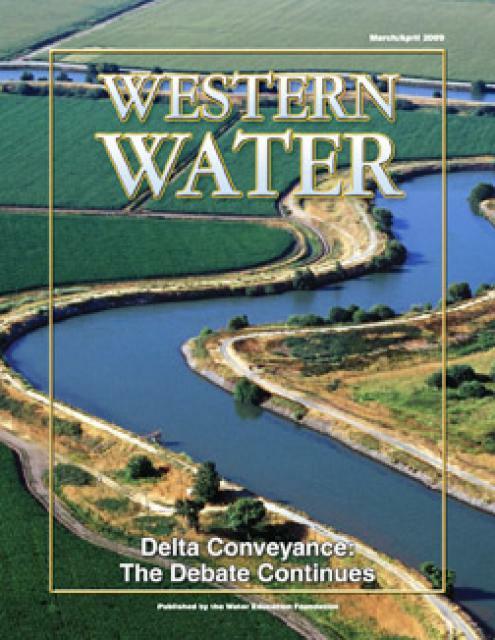 The Modesto Bee: State board approves controversial river flows. What’s the next step for MID, TID? Del Mar is a picturesque place that’s name means “of the sea,” in Spanish. That’s becoming increasingly true. Del Mar is one of countless coastal communities in California and across the U.S. that is seeing the impacts of climate change and preparing for worse to come. The biggest ticket item on California’s November ballot, tucked between the governor’s race and local elections, is an $8.9 billion bond to help modernize California’s sprawling waterworks. The measure, which was authored by a former state water director, would fund scores of projects, from shiny new desalination plants to upgrades of old dams and aqueducts to restoration of tainted watersheds, including San Francisco Bay. Pacific Gas and Electric Co. has agreed to protect San Francisco and Humboldt bays from runoff of dangerous chemicals on utility poles in a settlement with an environmental group. 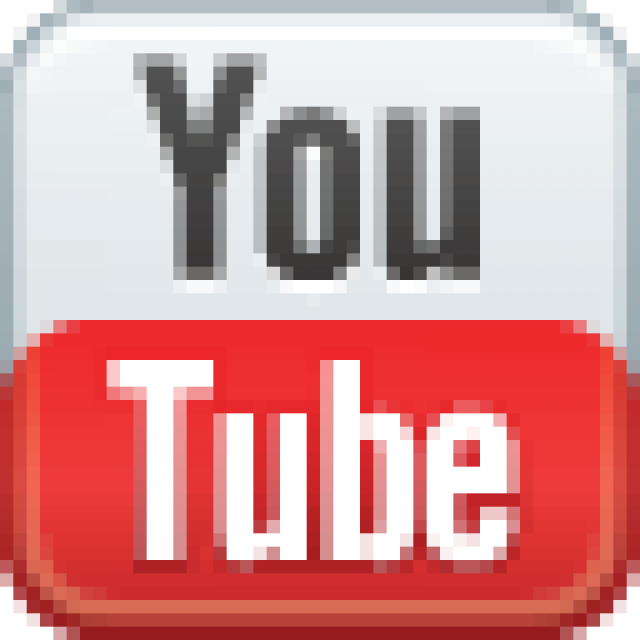 … The suit said oil and wood waste from poles stored at the yards washed into the bays, damaging the environment and endangering human health and wildlife. Wading into the water along the rocky shore off Aramburu Island in Richardson Bay, Brian Cheng reached 3 feet under water and pulled up an algae-covered rock. “Here we go,” he yelled as he splashed ashore soaking wet and pointed out a tiny snail on the underside of the rock. “And, we got a bonus,” he said, gesturing toward a cluster of yellow gelatinous egg capsules. The amazing thing about the 35 people who swam for miles in the San Francisco Bay on Sunday — besides that they swam for miles in the San Francisco Bay — is that they came out of the water soiled only by saltwater. Maybe some seaweed. No sewage clung to their hair. 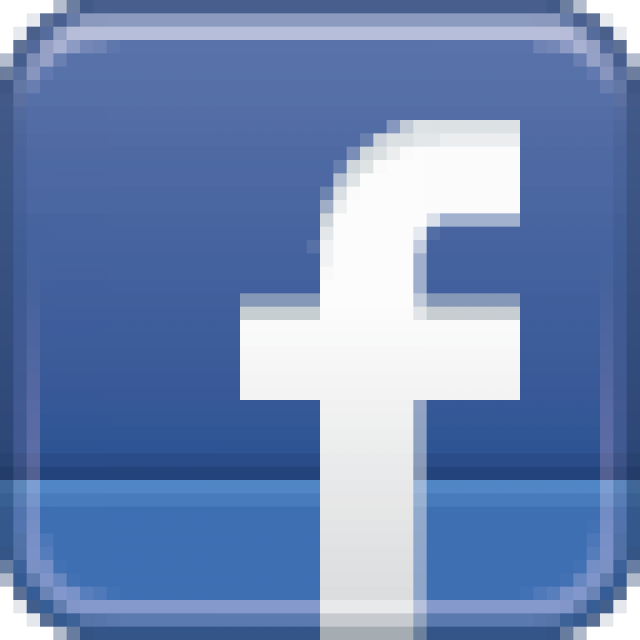 California water officials on Friday released a plan to increase flows through a major central California river, an effort that would save salmon and other fish but deliver less water to farmers in the state’s agricultural heartland. 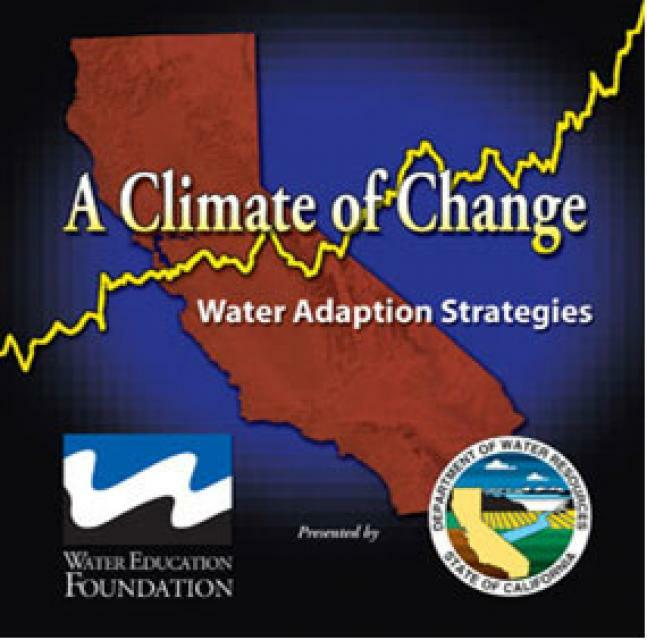 State regulators proposed sweeping changes in the allocation of California’s water Friday, leaving more water in Northern California’s major rivers to help ailing fish populations — and giving less to farming and human consumption. This small rectangle of wetland near the San Francisco Bay in San Lorenzo doesn’t look particularly visionary. Above ground, it’s an appealing – if unusually orderly – array of meadows, cattails and willows. But there’s far more here than meets the eye. 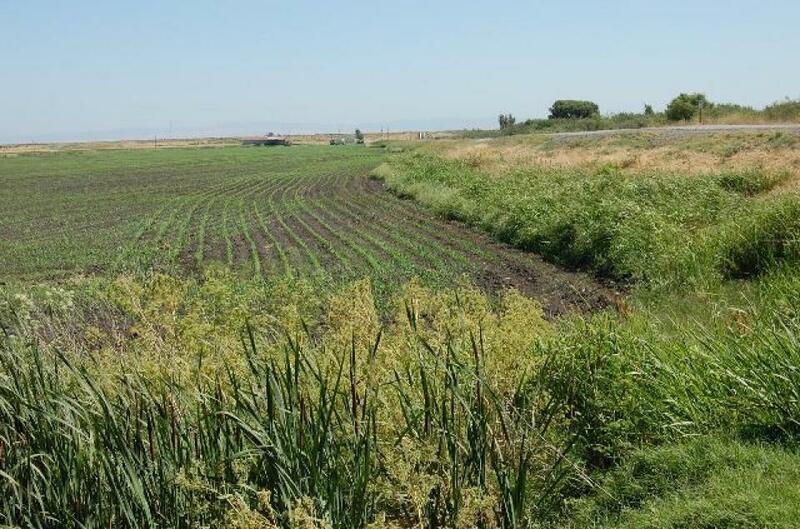 This modest strip of land, just 38 by 150 feet, in the Oro Loma Sanitary District promises to help solve two of the Bay Area’s most pressing concerns: sea-level rise and nutrient pollution. Like it or not, the water is coming: Will Bay Area defend against rising seas, or embrace them? You can shove water back from the land, or let the land flood, but either way, San Francisco Bay is getting higher. Along more than 400 miles of bayfront, in at least forty communities that touch water, the once-sneaky problem of sea level rise is revealing itself as it accelerates. Design teams from around the world unveil their visions today for a ring of ambitious projects circling San Francisco Bay, all aimed at increasing “resilience” to the challenges of rising sea levels and other growing threats to communities. After a year’s worth of ground work, nine teams participating in the Resilient by Design Bay Area Challenge take the wraps off of their various visions. Back in June 2016, Bay Area voters approved Measure AA to raise $500 million to pay for wetlands restoration, flood control and wildlife projects around San Francisco Bay. Now the first wave of that money — nearly $18 million — is about to be put to use. 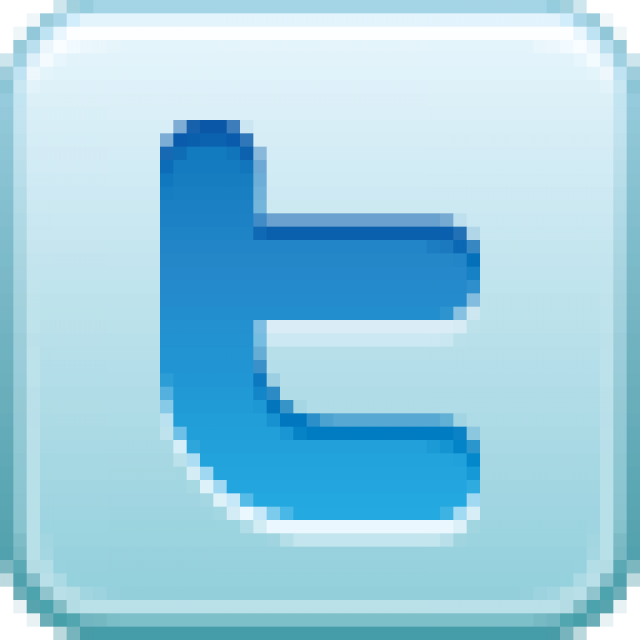 On Wednesday, the board overseeing the money will vote on projects in six counties totaling $17.9 million. A whopping 99 percent of mussels collected from the San Francisco Bay were contaminated with at least one algal toxin, while more than a third contained four different kinds of algal toxins, according to a study published in the March issue of the scientific journal, Harmful Algae. It [proposed 2019 budget] would remove all EPA funding of cleanup programs for the Gulf of Mexico, Lake Champlain, Long Island Sound, San Francisco Bay, Puget Sound and South Florida, including the Everglades and Keys. San Rafael’s Canal neighborhood has been selected as one of 10 Bay Area sites to get attention from a phalanx of architects, urban planners and environmentalists as part of a competition to battle sea-level rise. Fueled by an almost $5 million grant from the Rockefeller Foundation, teams have been formed to tackle what researchers say is inevitable flooding brought on by climate change. Last winter’s drought-busting wet weather was a boon for reservoirs and parched landscapes, but not so much for some invasive species in San Francisco Bay, according to a long-term study by Tiburon-based researchers. All that fresh water that poured into the bay was bad news for certain invaders, which have turned up in droves in recent decades from around the world, often in ships’ ballast water. Nutrients – such as nitrogen – are essential to life, but an overabundance can mean trouble for waterways. Take Chesapeake Bay and the Gulf of Mexico, which are infamous for “dead zones” where closely packed bodies of fish float to the surface or wash ashore by the thousands. These dead zones are caused by nutrient pollution, which makes algae grow too fast. Estuaries are places where fresh and salt water mix, usually at the point where a river enters the ocean. They are the meeting point between riverine environments and the sea, with a combination of tides, waves, salinity, fresh water flow and sediment. The constant churning means there are elevated levels of nutrients, making estuaries highly productive natural habitats. Last year, on June 7, the nine counties of the Bay Area passed a ballot measure called Measure AA. The measure placed a $12 per year parcel tax on local landowners to be directed towards wetlands restoration. Despite spending millions of dollars over the years on garbage cleanup, Oakland has the Bay Area’s worst record for limiting the rubbish that pollutes creeks, lakes and the bay, according to the San Francisco Bay Regional Water Quality Control Board. The flow of waste violates mandates set by the board to reduce storm drain litter this year by 70 percent compared with 2009, a goal that Oakland is far from meeting. Three days after the 112-foot barge Vengeance overturned in high winds near Yerba Buena Island, the U.S. Coast Guard worked Sunday to contain the diesel slick spilled from its depths and walked nearby beaches to check on wildlife. There were no new signs of fuel leaking into San Francisco Bay as a Coast Guard helicopter crew carried out an overflight and divers conducted an underwater assessment Saturday on a freight barge that sank south of the Bay Bridge. 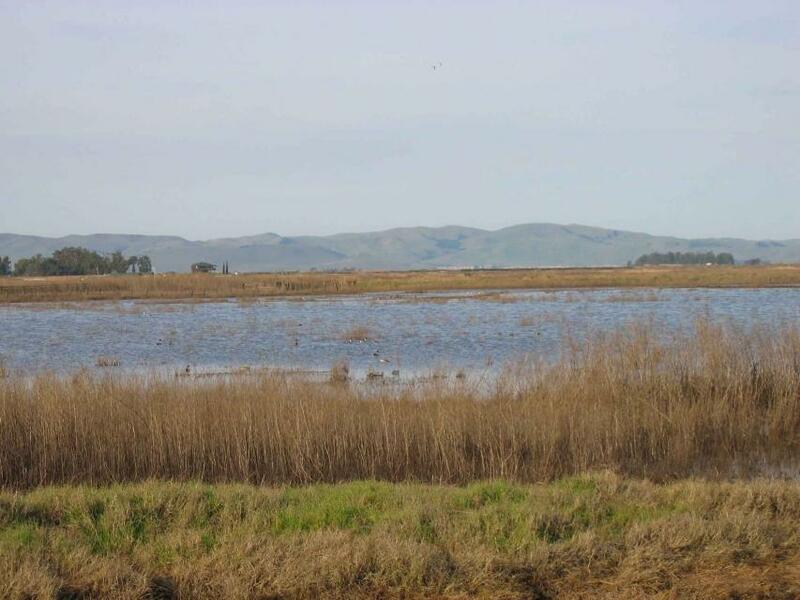 Will San Francisco Bay wetlands restoration be a casualty of EPA cuts? The Trump administration could eliminate all federal funding for wetlands restoration in San Francisco Bay, according to a budget plan that has shocked local and state officials, but is just one piece of broad changes to federal environmental programs. Have you noticed? The dark emerald green waters of San Francisco Bay have turned a murky brown. Powerful storms often hailed for bringing drought-busting rains to California also served to virtually wipe out a healthy growth of native Olympia oysters at China Camp near San Rafael, raising concerns about climate change, according to a new study. The San Francisco Bay Joint Venture — celebrating its 20th anniversary this year — has helped coordinate and complete more than 150 wetland habitat projects, conserving and restoring about 75,000 acres of habitat in and around the bay since 1996. High levels of a toxic freshwater algae known to be harmful to humans have been detected in mussels at several locations in San Francisco Bay, scientists said Monday. The Bay Area made history in June 2016 by passing Measure AA, a wetland restoration parcel tax and the first ballot measure to include all nine counties. Besides providing wildlife habitat and flood protection, the measure may hold lessons for future regional governance. Most of all, however, the measure’s success underscores how important the Bay is to us. Unlike most other microorganisms, zooplankton are technically heterotrophic animals – meaning they cannot produce their own food. Instead, they feed upon phytoplankton like algae, a process responsible for keeping these populations under control. Those small, seemingly insignificant bits of plastic in San Francisco Bay found at nine local sites last year could end up being the next major water quality problem. What to do about them is an important next step, said Rebecca Sutton, senior scientist with the San Francisco Estuary Institute (SFEI). 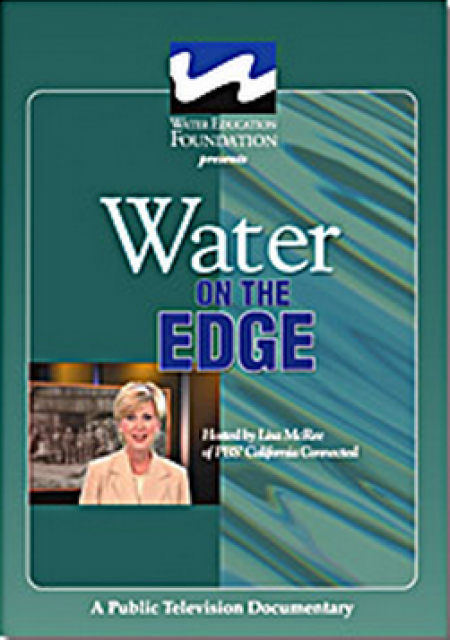 During a Thursday seminar sponsored by the State Water Resources Control Board in Sacramento, Sutton said experts are embarking on a course of better understanding microplastic contamination and its effect on the environment and human health. 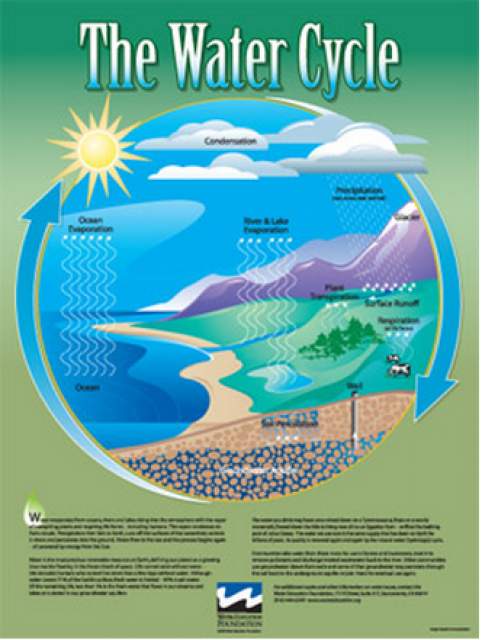 Today [July 1], the U.S. Environmental Protection Agency proposed a federal Clean Water Act rule to tighten the current selenium water quality criteria for the waters of San Francisco Bay and Delta. The proposed change would better protect aquatic species, including salmon, smelt, and diving ducks, that are dependent on the Bay and Delta ecosystem, from harmful exposure to elevated levels of selenium. Thousands of acres of land around the San Francisco Bay will be returned to wetlands after voters in the nine-county Bay Area approved a new $12-per-parcel tax that will raise millions of dollars for bay enhancement and habitat restoration. The Bay Area’s first-ever nine-county ballot measure — a 20-year parcel tax intended to raise $500 million for marsh restoration and improved public access along the bay’s shoreline — was leading comfortably early Wednesday, with its strongest support from the most populous counties. Fifty years ago, Bay Area residents rallied around the call to save San Francisco Bay. Public action on an unprecedented scale reversed development tides that for more than a century had covered shallow waters with land for industrial parks and housing tracts, roadways and garbage dumps. 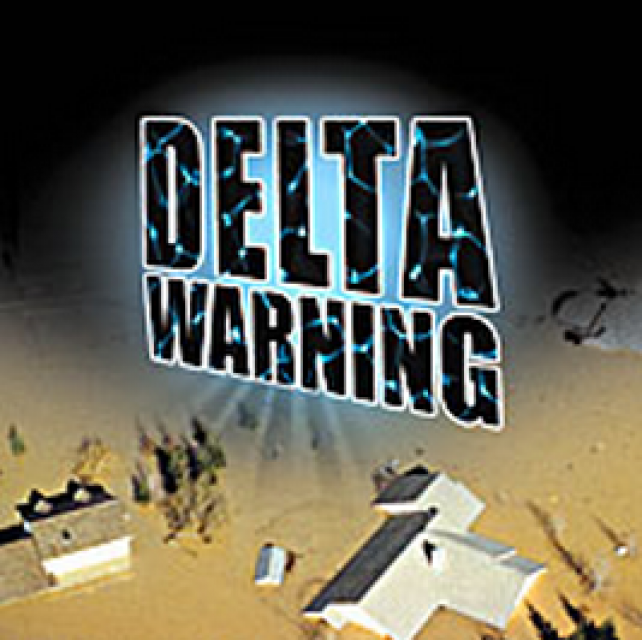 Eleven years ago, it was a major threat to San Francisco Bay. A fast-growing, non-native plant that spread in dense thickets up to 7 feet tall was exploding out of control, overrunning wetlands, threatening birds, wildlife and even the public’s view of the water. A 59-year-old South Bay man was charged with illegally dumping fill material, construction debris and other pollutants into the waters of the Don Edwards San Francisco Bay National Wildlife Refuge, officials said. The long-term threat of a rising bay has prodded nearly a dozen city agencies to come together and respond with an action plan — “action” being a relative term. 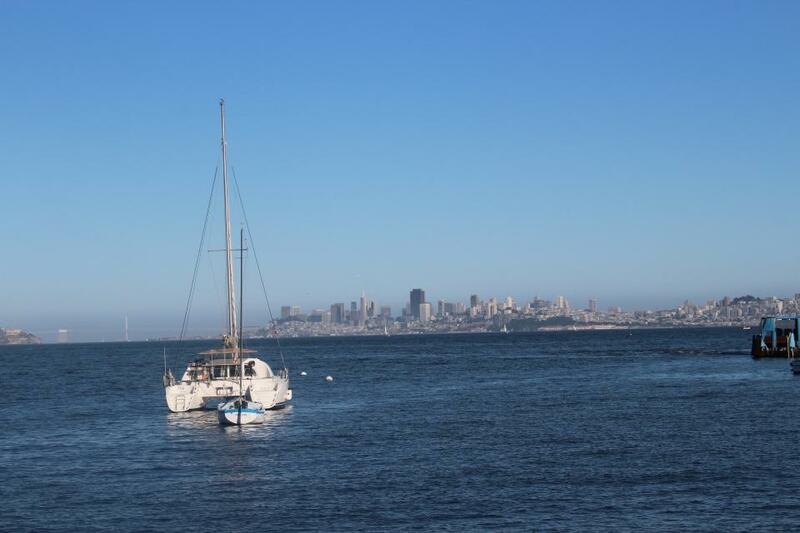 Looking out at San Francisco Bay, you’d never know it’s dotted with tiny pieces of plastic. … This microplastic threatens fish and may also threaten people who eat them. “We can’t recover it once it’s into our watersheds and oceans,” said Stiv Wilson, campaign director at The Story of Stuff, a nonprofit in Berkeley. In a clear sign that the largest wetlands restoration project on the West Coast is already improving the health of San Francisco Bay, bird populations have doubled over the past 13 years on thousands acres of former industrial salt-evaporation ponds that ring the bay’s southern shoreline, scientists reported Thursday. San Francisco Bay is in a race against time, with billions of dollars of highways, airports, homes and office buildings at risk from rising seas, surging tides and extreme storms driven by climate change. … That’s the conclusion of a new report from more than 100 Bay Area scientists and 17 government agencies that may help fuel a regional tax measure aimed at addressing the looming crisis. Estuaries are hard places to understand and even harder to explain. 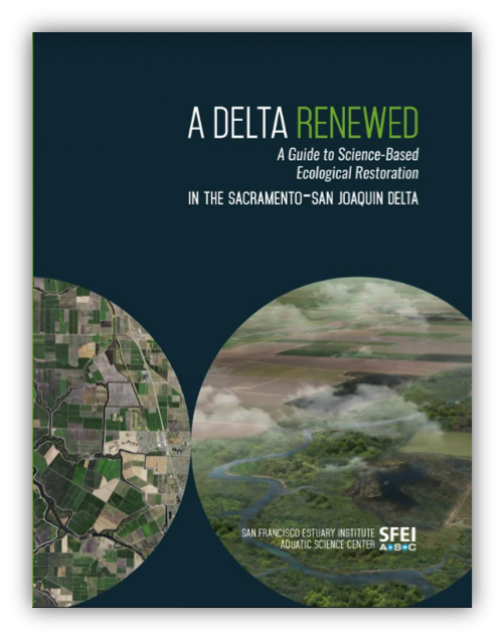 Estuarine scientists, myself included, have struggled to learn how changes in the San Francisco Estuary led to declining fish populations and waning productivity, particularly in the Sacramento-San Joaquin Delta. 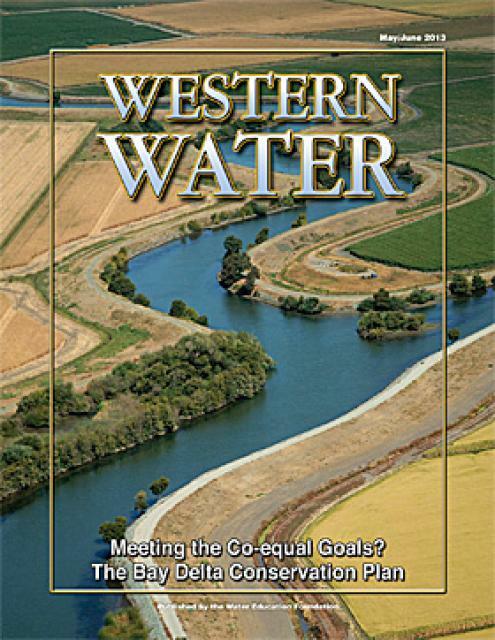 The latest issue of the San Francisco Estuary and Watershed Science journal is now available. Scientists have set up eating stations full of fish roe in the middle of Richardson Bay in an attempt to feed ducks whose numbers have been on the decline in recent years. In a move that could force the city of San Jose to spend millions modernizing its sewage system, cleaning up trash and removing homeless encampments, an environmental group announced Monday it will file a lawsuit under the Clean Water Act charging the city with failing to stop pollution from washing into creeks and San Francisco Bay. One copy of the Space Invaders and one copy of the Unwelcome Visitors poster for a special price. This 24×36 inch poster, suitable for framing, explains how non-native invasive animals can alter the natural ecosystem, leading to the demise of native animals. 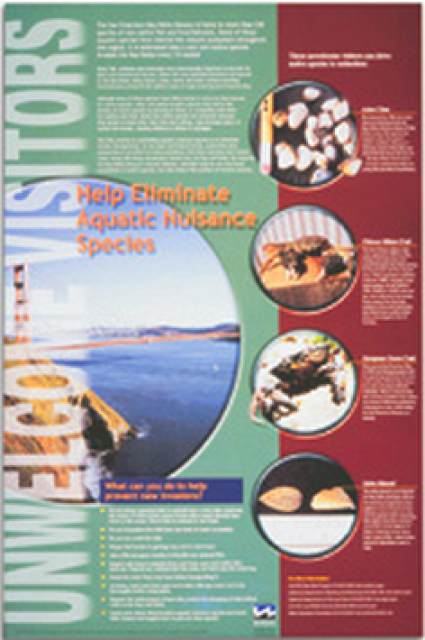 “Unwelcome Visitors” features photos and information on four such species – including the zerbra mussel – and explains the environmental and economic threats posed by these species. 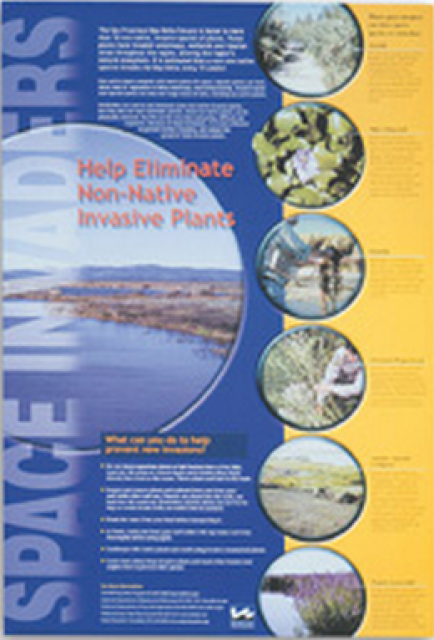 This 24×36 inch poster, suitable for framing, explains how non-native invasive plants can alter the natural ecosystem, leading to the demise of native plants and animals. 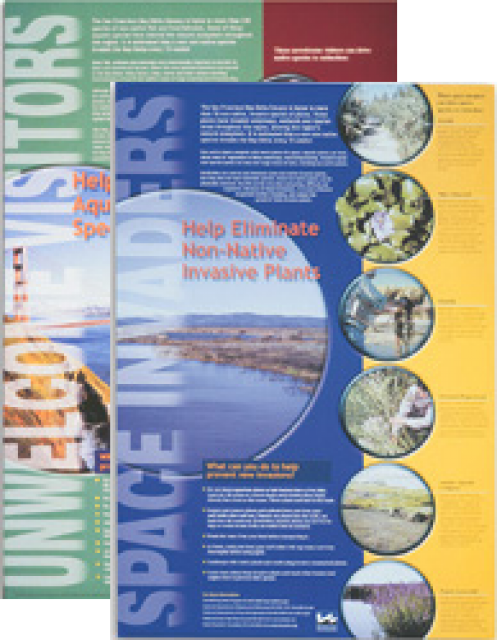 “Space Invaders” features photos and information on six non-native plants that have caused widespread problems in the Bay-Delta Estuary and elsewhere. 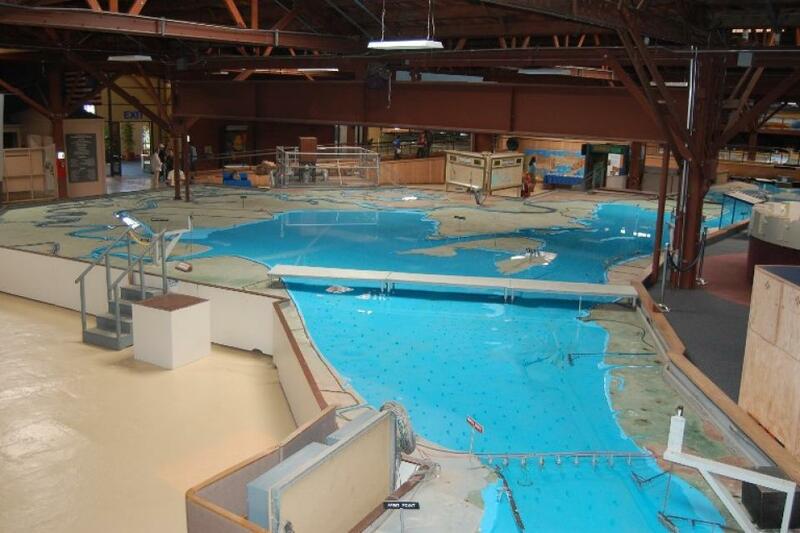 Operated by the U.S. Army Corps of the Engineers, the San Francisco Bay/Delta Model is a hydraulic model of San Francisco Bay and the Delta and is housed in a converted World II-era warehouse in Sausalito in Marin County. 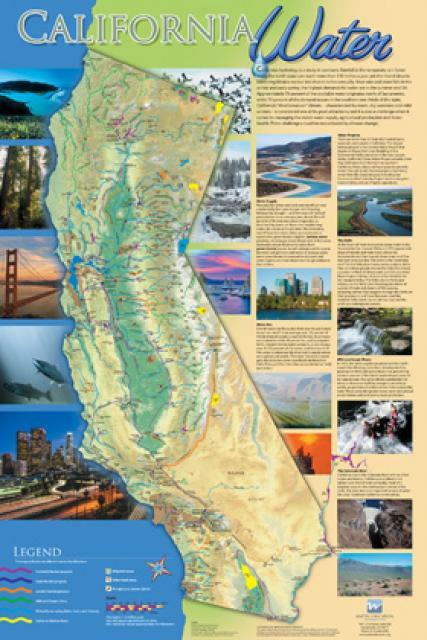 Stretching 320-feet by 400-feet wide, the Bay Model features a replica of the Bay Delta watershed from the Golden Gate to the Sacramento-San Joaquin Delta. Pumping systems move hundreds of gallons of water throughout the display and create 14-minute tidal ebb and flow. 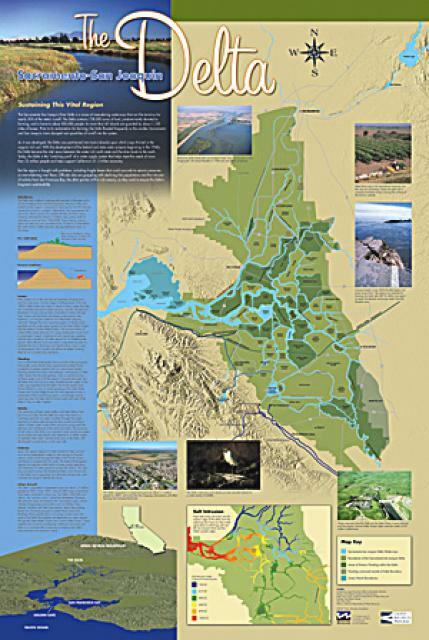 San Francisco Bay and the inter-connected Sacramento-San Joaquin Delta form the largest estuary on the Pacific West Coast. The estuary is shaped by water flows from two directions. Invasive species, also known as exotics, are plants, animals, insects, and aquatic species introduced into non-native habitats. Often, invasive species travel to non-native areas by ship, either in ballast water released into harbors or attached to the sides of boats. From there, introduced species can then spread and significantly alter ecosystems and the natural food chain as they go. Another example of non-native species introduction is the dumping of aquarium fish into waterways. Without natural predators or threats, these introduced species then multiply.